One of the most frequently asked questions we get in class is: If I don’t register my firm, how would the EPA know that I am working in target housing? There are several ways that the EPA can discover if you are working in target housing. Remember you are working in old neighborhoods, chances are someone in the neighborhood, recently has completed a renovation and been informed of the rule. 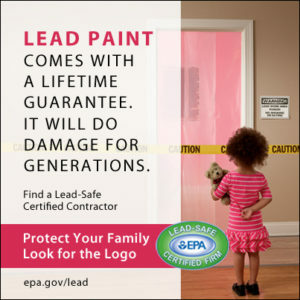 Anyone can lookup on the EPA’s website which firms are certified. If your firm isn’t on the list, this could trigger the neighbor to report the renovation to the EPA. Most police, fire, and building inspectors are briefed on the rule and trained how to report violations to the EPA. Your competitors also have an incentive to report contractors working in violation of the EPA RRP rule. If they are certified and have to bear the additional costs of completing the renovation within the requirements of the rule. Your firm not being certified gives you an unfair advantage. This unfair advantage will prompt your competitors to report you. Lastly, we have had several people show up to class and tell us that the EPA requested RRP records on permits that were pulled by the firm on houses built prior to 1978. These firms weren’t certified, and most likely would be facing fines for working in target housing without being certified. The EPA may suspend, revoke, or modify a firm’s certification if the Certified Firm or Certified Renovator is found to be in non-compliance. Civil and criminal fines start at $37,500 per offense plus jail time for knowingly or willfully violating the EPA RRP Rule. Violators may be both Certified Renovation Firms and non-certified contractors who are not aware of or have ignored the requirement to become a Certified Renovation Firm. Taking chances with the health of your workers and customers simply isn’t worth it. Protect your customers and workers and get certified today.